World Fiddle Day, here we come! HI Folks: The countdown is on! 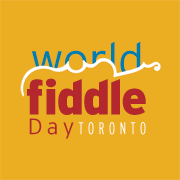 World Fiddle Day is in exactly 2 days. 2. YOUR OWN MUSIC in a binder printed out from www.worldfiddledaytoronto.wordpress.com and arranged in playing order. If you are printing jogs from the site, you should still go to the dropbox to get the list, maybe check out the Jammer’s Almanac, etc. We will not have time to let people rifle through piles of posse sheets to look for the next piece, so it is important that you have it in order ready to go. Some tunes will segue right into the next. There are more directions on their site for walking (8 minutes from Union Station) or bus (509 from Union Station). Check Facebook for any last minute updates, and definitely, invite people to come listen. It’s going to be awesome! Anne Lederman will be appearing on Breakfast Television Thursday morning and CP24 Saturday morning if you’re an early riser.